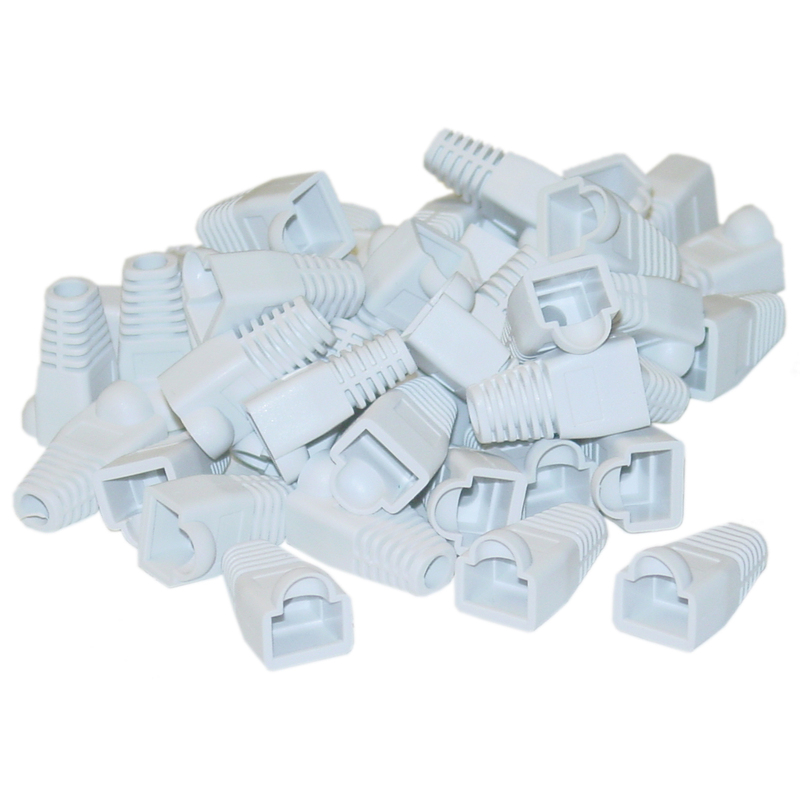 White RJ45 Strain Relief Boots are designed to fit over the end of a Cat5, Cat5e and Cat6 cable to relieve the strain on the connector and to clean up the cosmetics of the cable. These particular boots are sold in bags of 50 pieces. Excellent product to protect the RJ45 connector locking mechanism. Relief boots should always be used in any application. It protects the locking mechanism from becoming snagged on other wires, etc.